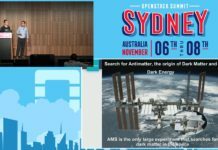 OpenStack Sydney: Ceilometer is a service for collecting usage metrics and event data in an OpenStack cloud and has recently gone through significant changes to enhance its scalability. In the past Ceilometer served as an API, data store, alerting agent and more. Ceilometer has spawned entirely new projects for handling the metrics storage (Gnocchi) and another for alarm notification (AODH). It no longer requires MongoDB.